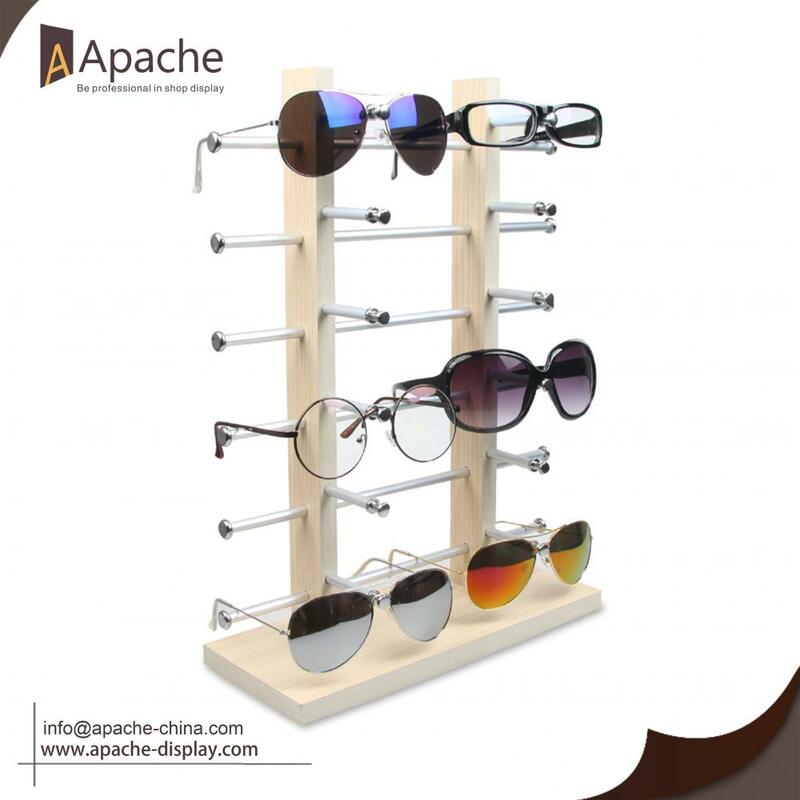 This Wooden Sunglasses Counter Dislpay Rack is made of high quality wood and aluminum alloy metarial, improve the level of products. Jointed design make it convenient to assemble and save the space when unassemble. 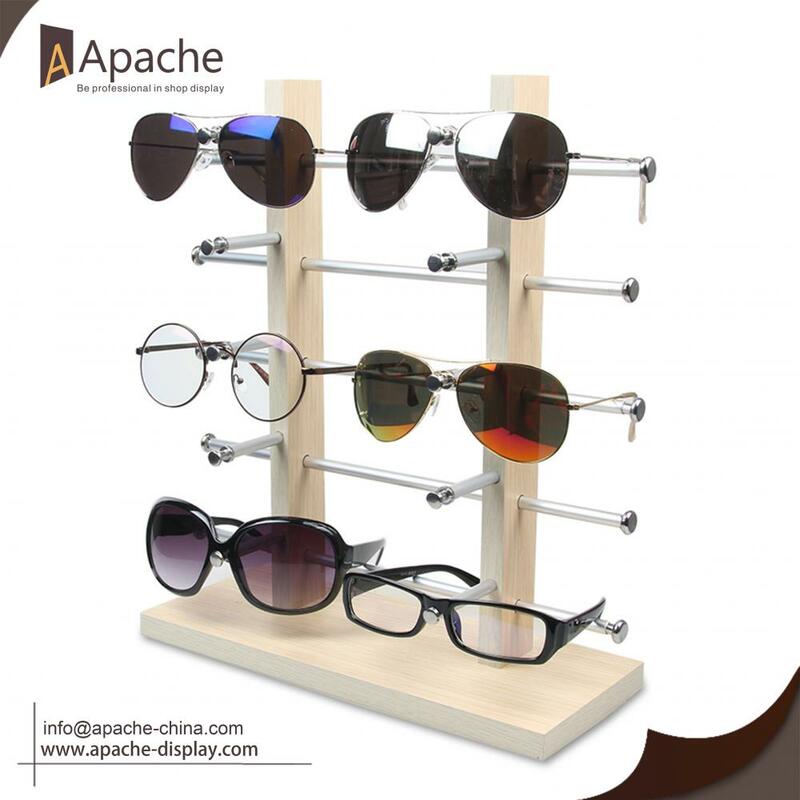 Screw joint the base make the Display Rack more stable and firm. 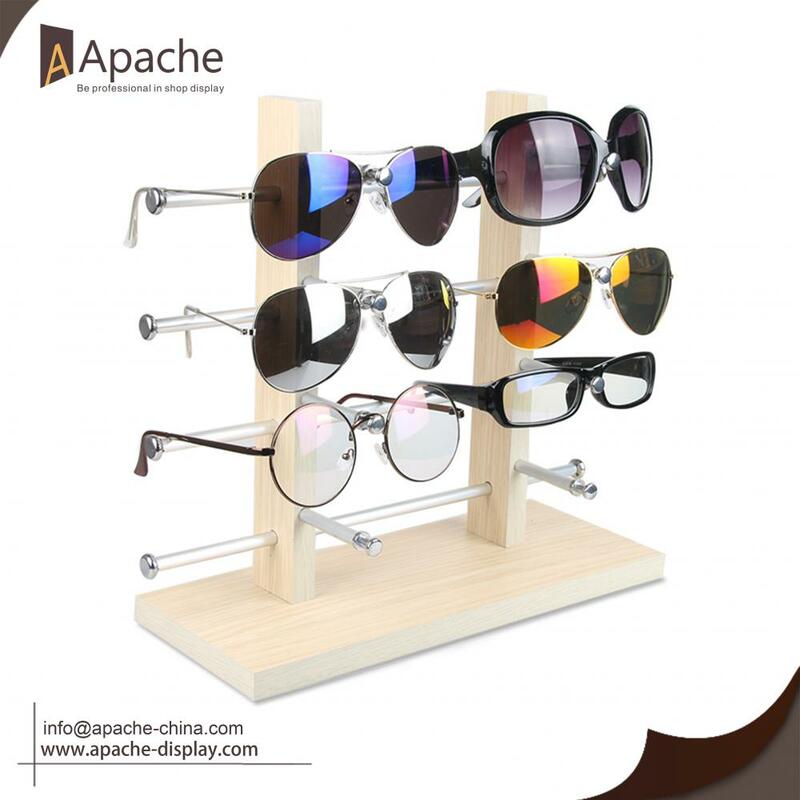 Three size options and two colors for you to choose, meet the different space needs. 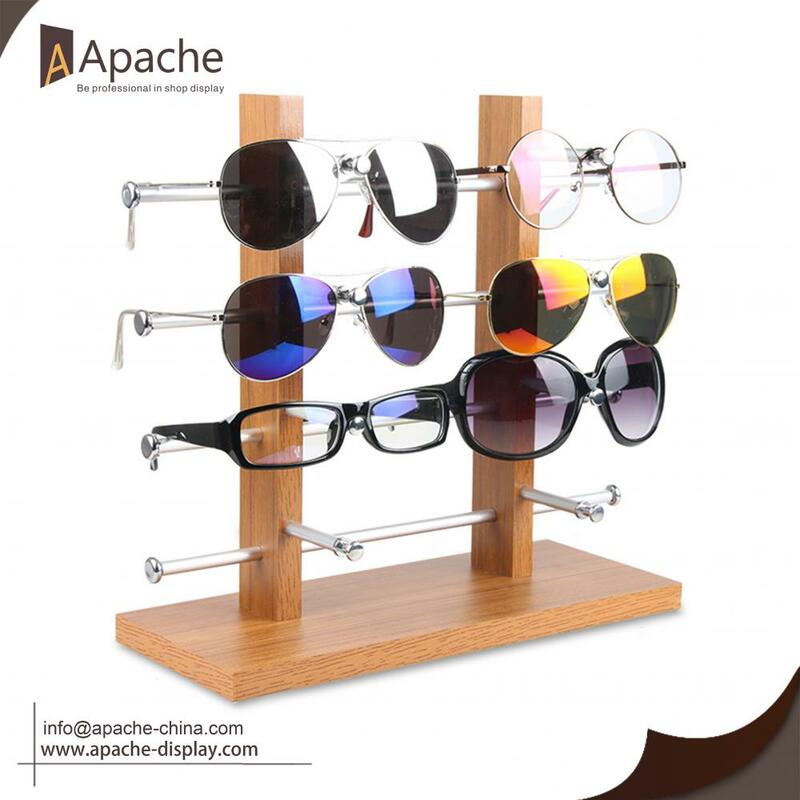 Looking for ideal Wooden Sunglasses Countertop Display Manufacturer & supplier ? We have a wide selection at great prices to help you get creative. 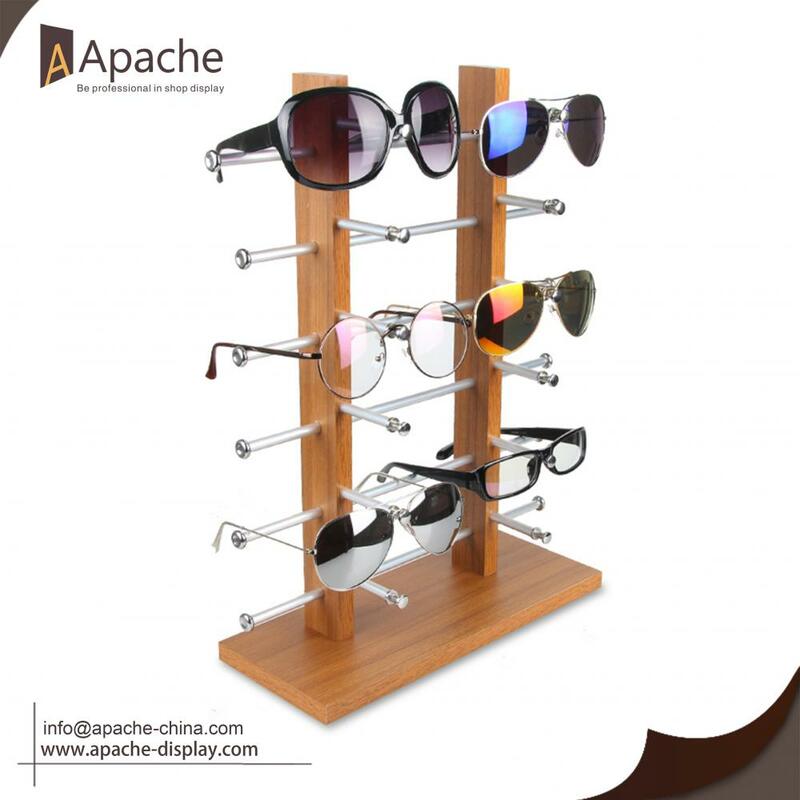 All the Wooden Sunglasses Storage Rack are quality guaranteed. We are China Origin Factory of Wooden Counter Dislpay Rack. If you have any question, please feel free to contact us.